Pioneers in the industry, we offer Grass Paver, Interlocking Grass Paver Tile and Concrete Grass Paver from India. Being the manufacturer and supplier, we are involved in providing Grass Paver of the best quality. The offered paver is highly acknowledged owing to its fine finish and sturdiness by our patrons in the market. Our provided paver is precisely manufactured by a talented team of workforce with the aid of advanced techniques. In addition to this, the provided paver gives a beautiful look to the gardens, parks. Backed by our flourishing business processes, we are able to manufacture and supply a flawless quality range of Concrete Grass Paver. The offered paver is used for pavement of street, parks and outer area of the homes, hotels and other places. Also, the offered paver is manufactured under the direction of adept professionals using optimum grade raw material and cutting-edge techniques. The provided paver is made available in diverse sizes to fulfill the requirements of our clients. Paver an area, mobile home parks, canal, lounges & safety zones, maintenance area, farm equipment storage. Community industry, private, recreational and landscaping products. Driveways, pool decks, walkways, parking, bicycle paths, erosion control, temporary paving. Sidewalks, shopping malls, residential streets, public parking, bus stops, service roads, cross roads, parking lots, camping intersections, gas stations, loading decks, loading ramps, industrial floors etc. By keeping track with the latest market developments, we are offering our clients a superior quality array of Grass Paver. The offered paver is widely used for pavement in commercial and non-commercial places. The provided paver is well-manufactured under the guidance of dexterous professionals in tandem to set industry standards. 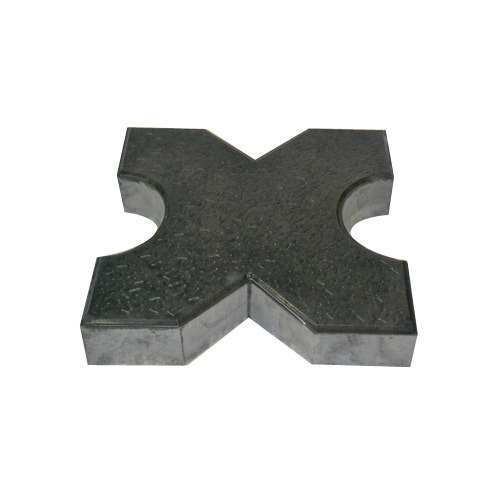 This paver is widely appreciated by our clients for its robustness and high strength. We offer this paver in different sizes at industry leading prices. To meet the diversified requirements of our prestigious clients, we are engaged in offering qualitative Grass Paver. Manufactured in tune with the predefined industry norms, this paver is designed with the help of contemporary techniques at our manufacturing house. In addition to this, the offered paver is thoroughly inspected on several measures of quality to ensure its high strength and durability. Our prestigious clients can buy this paver in diverse designs and sizes.